Digital marketing experienced quite an upheaval in 2014, and there’s no sign of things slowing down this year. Data-driven customer insights, programmatic and automated advertising capabilities, the melding of digital and physical interaction through wearable devices, native advertising and the Internet of Things are just some of the big trends grabbing the headlines in the past 12 months, and each promises to provoke further change to the way brands interact with customers this year. So what should marketers focus on to improve their digital marketing prowess in 2015? To find out, we spoke with a collection of industry associations and digitally-led agencies to gauge their views on what digital marketing strategies need to factor in this year, and where they’re advising CMOs to place both their dollars and resource efforts. In this first part of our three-part series, we ask respondents for the big game changers from 2014 that are shaping digital marketing in 2015. What big milestones and game changers for digital marketers in 2014 are shaping 2015? The biggest milestone in 2014 was that interactive advertising expenditure neared $4.4 billion in FY14, representing 22 per cent year-on-year growth and a 34 per cent share of the total Australian advertising market. That puts it well ahead of other mediums, which is quite extraordinary when you consider that just 10 years ago we collectively wondered whether the digital industry would actually make a difference in people’s lives and business. Native advertising was highly topical and clearly being driven by the desire of brands to secure proximity to relevant, quality content. Its growth also surfaced a real need for the industry to take care, as regardless of context, a reasonable consumer must always be able to distinguish between what is a paid native advertising unit versus publisher created editorial content. Programmatic advertising, and the process of buying and selling media in an automated fashion, has been on the rise and will continue to grow in 2015. Marketers are beginning to understand its benefits beyond remnant inventory and real-time bidding (RTB), and we expect a greater focus on value-led programmatic moving forward. The Internet of things gained some traction last year, at least in exploring what it might mean for marketers. I expect this to become more of a ‘thing’ this year. Data - big, small and dark - was and is of utmost importance for marketers, and defining what data is relevant to their organisational success is key in 2015. We’ve just witnessed a transformational year for digital marketing. Digital is no longer about channels but an integrated strategy: It’s moved from a standalone discipline to underpinning the end-to-end customer experience. 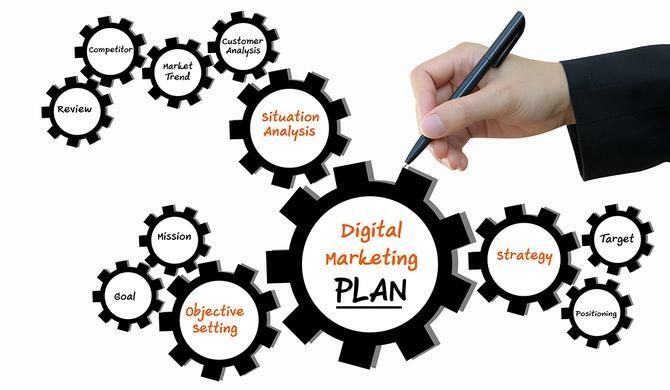 Digital is now so integral to marketing you could almost say the term is obsolete. Digital is marketing and vice-versa. Throughout the year, many businesses made the move from being a campaign-led communications machine to an always-on, content first, customer-centric organisation. But we’re not there yet. Most organisations are still at the beginning of this journey. Now comes the hard part: 2015 will be a year when consumer-focused digital strategy becomes a reality for many organisations, underpinned by content, data, technology and creativity. This is what consumers are demanding from marketers and brands – to be able to access products and services anytime, anywhere and on any device. In 2014, data was everywhere: Were we in danger of data overload, how should we determine the data we need, what does it mean as a marketer and what data was needed to help inform decisions that will make a business difference. We also learnt data for data’s sake will only waste time, bog you down and reduce productivity and effectiveness. Digital is great at gathering data but what do you need and will you use it? That’s the focus for 2015. The two big drivers of digital transformation in 2014 were experience design and the emergence of the marketing cloud as a serious business concept. Most major digital players have turned the corner in their approach to website design and recognised the value combining creative design, user experience and optimisation. Some site refreshes in the past 12 months have shown a new and simpler form of interaction with a focus on beautiful customer centric design and flawless functionality built in to those designs and the thinking behind the creative. The emergence of four major software houses, with each one having their own vision of what the cloud can do for marketing, has opened the gates on some major transformation in this space. It would be foolish to think the marketing cloud is all about a new CMS because when you look at the depth of technology in these offerings, you will quickly realise that this is a game changer. It does have all the capability to bring together the four pillars of digital marketing being content, media, analytics and personalisation. The annual SXSW Interactive conference held in Texas each March is a bellwether of the industry. The 2014 show pointed to two milestones. The first was security and privacy coming of age for marketers, a theme that the keynote speakers drummed home. But outside the conference halls, it was all about the Internet of Things and the melding of digital with physical products such as 3D printing, virtual reality headsets, wearables and the like. Now that mobile is mainstream, agencies have turned to hardware to get their innovation fix. Apple’s announcement (finally) of the Apple Watch was pre-dated by every other phone manufacturer releasing their own smartwatches, which in turn creates a whole new screen to design for, and a wrist full of new opportunities. 2014 was a year of consolidation across all parts of the digital marketing industry. Technology vendors consolidated solutions into digital marketing clouds through solution integrations, mergers and acquisitions. Agencies and consultancies consolidated technology, creative, experience design and strategy offerings to drive greater cohesiveness and scale. Clients looked to consolidate people, processes and technology through ‘Digital Transformation’ programs to better meet customer needs in the digital age.